Find your favorite place ! 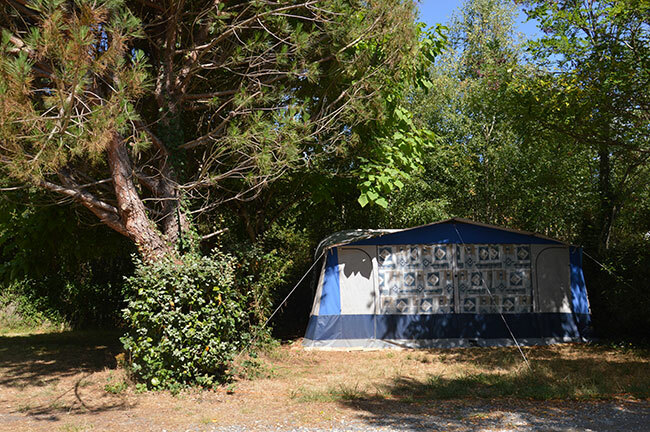 Our camping site has got 109 places between 80 and 150 meters wide. 50 places are bare for the tents, caravans or camping cars from April to the end of September. Electricity is available everywhere : don’t forget to take your cable and an european link. Each place can’t receive more than six people. Don’t worry ! There isn’t any mosquitos near the ponds ! To make your stay easier : think of the different options to hire ! It would be better for you to make a reservation to be sure they will be available at the right time.